The State Temple of the Martial God, which is dedicated to the worship of Lord Guan Di, or Guāngōng, dates back to the Kingdom of Tungning, a government founded in Taiwan by Koxinga between 1661 and 1683 as part of a loyalist movement to restore the Ming Dynasty. It is not only historically significant, but also the only Martial God temple granted the right to perform official sacrificial rites during the Qing dynasty. The temple enjoys a prestigious status and its traditional architecture is refined and harmonious. Its buildings are topped with roofs in five different styles: a swallowtail roof, a flush-gable roof with horseback ridge, a hip roof, a double-eaved hip roof, and a swallowtail flush-gable roof. The roofs, connected by a series of gables running the length of the temple complex, make a graceful, elegant silhouette against the sky behind them. The temple houses a statue of Guanyin that was once enshrined in the residence of Prince Ningjing (1617 – 1683), the last prince of the Ming Dynasty, who took shelter in Taiwan after mainland China fell under Qing control. It is also home to many famous ancient inscription plaques. Among them, one inscribed with the phrase Dazhangfu (a true man) by noted scholar and government official Yang Ting-li in 1791, during the reign of the Qianlong Emperor, is regarded as one of the most famous inscription plaques in Tainan. The State Temple was built in 1663. It was established by Zheng Jing (1641 – 1681), Ming loyalist Koxinga’s eldest son, after he retreated from China to settle in Taiwan. During the temple’s 1690 renovation, it was modified to face south and expanded to include the main hall, rear hall, side corridors, front worship hall, Sanchuan Hall, and the stone-paved temple square. The second renovation, which took place in 1716, enlarged the temple even more and gave it its current form. In the 1720s, three generations of Lord Guan Di’s family were elevated to the rank of Duke by the Yongzheng Emperor to promote Guan Di’s status, and major temples worshipping Lord Guan Di were designated official temples. A Hall of Three Generations was added to many Guangong temples across the country. The State Temple of the Martial God was one of them. It was charged with conducting the spring and autumn official sacrificial rites, becoming the only temple in Taiwan to hold such an honor. In 1983, the Ministry of the Interior designated the temple as a national historic landmark both for the beauty of its architecture and its rich cultural, historical, and artistic significance. The temple was last renovated in 1993. A courtyard lies between the gate and the main hall of the State Temple of the Martial God. The ground is paved with granite and the emperor’s walkway is decorated with a relief carving in a dragon motif. The modest and unembellished carving dates back to the reign of the Qianlong Emperor (1735 – 1795). The worship hall, which sits in front of the main hall, is crowned with a unique flush-gable roof with a horseback ridge. The main hall is covered with an elegant double-eaved gable roof with an extra gable on the top. The facade is divided into three sections both horizontally and vertically, giving the hall a majestic stature, graceful in style and form. Many inscription plaques are preserved in the State Temple of the Martial God, including one inscribed by the Xianfeng Emperor. Among the numerous inscription plaques praising Guan Di’s personality and achievements, the most famous is one inscribed in 1791 with the phrase Dazhangfu (a true man) by Yang Ting-li (1747 – 1813), a Qing government official and scholar. Dazhangfu is a term first coined by the famous sage, Mencius (or Mengzi), who defined the character of a true man as untempted by wealth, undaunted by poverty, and unintimidated by force. The Guanyin Hall of the State Temple of the Martial God enshrines a Guanyin statue. Its golden face tilts slightly forward with a solemn and benevolent expression. When seen from afar, it seems as though the statue is gazing at the worshippers. This precious icon was originally enshrined and worshipped in the residence of Prince Ningjing. In 1861, six temples—Kaiji Martial Temple, Lingyou Temple, Guangan Temple, Cangshen Temple, Zhurong Shrine, and Chikan Earth God Temple—located on the six streets neighboring the State Temple of the Martial God formed the Liuhe Realm (the Realm of Harmonious Six) to help maintain civic order in Tainan, and the Liuhe Chamber was established in the State Temple of the Martial God. It served as a contact point for the temples and command center for keeping the peace during the winter months. The God of Fire is worshipped in the Liuhe Chamber, which is also used for various civic activities. Instead of door gods, the temple gates of the State Temple of the Martial God are embellished with studs. There are seventy-two studs on each of the two panels for the double gate in the center, and fifty-four on each of the side gate panels. There is a numerological basis for this arrangement. Seven plus two is equal to nine, as is five plus four. Because nine is the supreme number in Chinese tradition, used to represent the emperor, it was adopted here to symbolize the supreme status of the State Temple of the Martial God. The red gables of the State Temple of the Martial God on Yongfu Road are 5.5 meters tall and sixty-six meters long. They are topped with five different roof types—the swallowtail roof of the Sanchuan Hall, the flush-gable roof with horseback ridge of the front worship hall, the hip roof of the worship hall, the double-eaved hip roof of the main hall, and the swallowtail flush-gable roof of the rear hall. The undulating skyline demarcates the hierarchy of each building while creating an intriguing visual effect. 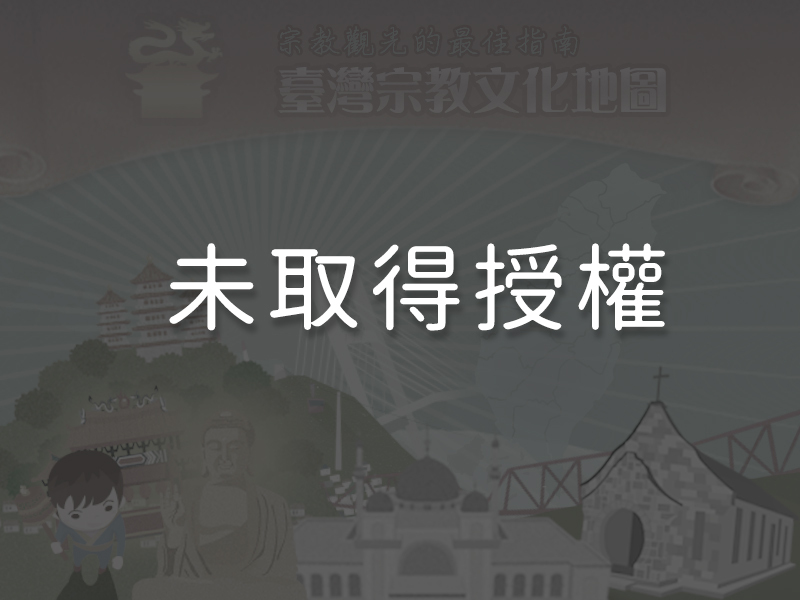 Over time, this famous silhouette has become a symbol of Tainan City. The State Temple of the Martial God also houses the statue of Yuelao (the Matchmaking God). This is one of four famous Yuelao in Tainan. In Chinese society, people believe that Yuelao is capable of arranging good marriages between men and women. It is said that praying earnestly to Yuelao will help a person find a perfect spouse and avoid unsuitable relationships.